Banking is one of the oldest business models in the entire world. It has been in use for a long time even before modern currency. The biggest thing that has changed banking is technology. In this article, we will discuss some of the different ways that technology has changed banking completely. One of the biggest transformations seen in banking comes with the introduction of mobile banking solutions. Because there are now mobile banking solutions, customers are able to bank using their favorite mobile devices. This alone has changed everything because it has decreased the need for customers to visit the different banks and to really do their banking in person. Nowadays, a customer can simply deposit a check, transfer money, and pay their bills using their mobile device. It has completely changed the way people bank. Another big area that has changed banking as a whole is the ability to pay with mobile wallets and technology. With the introduction of NFC, a lot of banks now offer chip-enabled cards that can be used contact-less. However, to take it even further, NFC is enabled on phones which can store the encrypted information. Because of this, they are able to pay using a quick tap of their phone. Because a lot of the different technologies that are coming into place are making it much easier to get into the industry as a whole, there is a lot of competition entering the sector which is boosting the level of innovation. A lot of technology has been breaking down barriers to entry which has been making it increasingly easy to enter the industry. Previously, banks only needed to worry about physical security. Nowadays, they need to focus more on data security and information security than ever before. This is changing the way the banks are being run and the number of investments individual banks are putting into their Cybersecurity. Security has greatly increased with ATM machines as well. 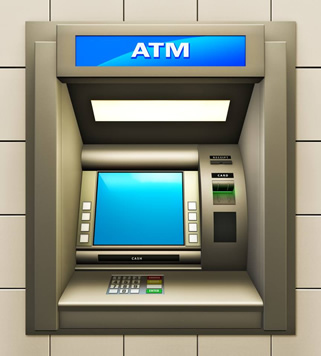 You can buy atms online through many reputable dealers now for your business or storefront. Overall, there are plenty of different ways that the banks have evolved over time. A big part of the changes stems from the fact that so much innovation and technology is entering the space at an alarming rate. More and more people have regular access to smartphones capable of doing all sorts of banking and payment tasks on. Thus, it is driving innovation in the mobile space throughout the industry. Are ATM’s On The Way Out?